Many of these sights come from our partners participating in the Trekker Loan Program, who are adding imagery from their region for the world to explore. Today, we invite you to discover five new collections across the country, from California all the way to New York. Starting our journey in NorCal, hike through the Armstrong Redwoods State Natural Reserve with the Stewards of the Coast and Redwoods, who work to preserve some of the state’s most beautiful parks and nature refuges. 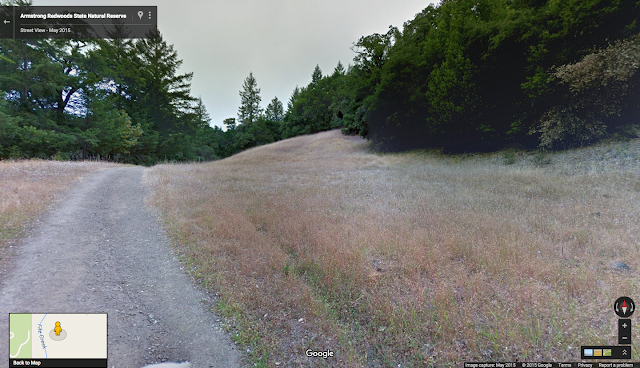 On your Street View stroll, you can see the old growth redwoods—the largest forest stand in Sonoma County open to the public—as well as countless beautiful meadows and vistas. Making our way east to Kansas City with Visit Kansas City, virtual visitors can ascend to the top of the Liberty Memorial Tower, one of the largest war memorials in the world at 217 feet tall. If heights aren’t your thing, check out the 22-acre lawns of Donald J. 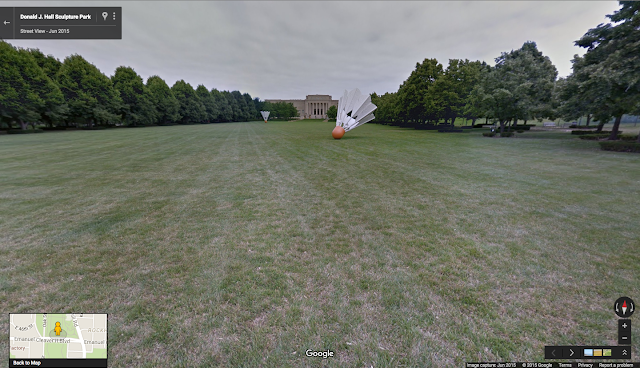 Hall Sculpture Park, which is home to Kansas City’s iconic installation Shuttlecocks. 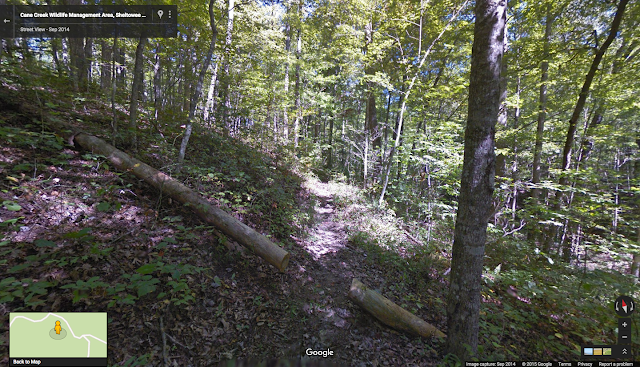 Journeying to Kentucky with Sheltowee Trace, stop by Cane Creek, a vast wildlife management area within the Daniel Boone National Forest. Covering more than 6,000 acres, Cane Creek is the principal hiking, biking and horseback riding trail in the area. Next up: the great state of Pennsylvania with Visit Bucks County. 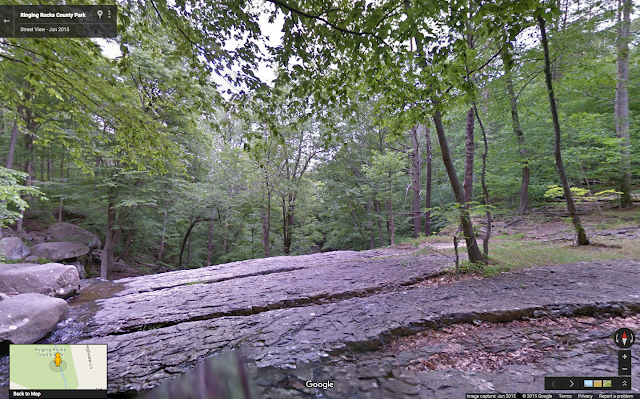 In Ringing Rocks County Park, it’s said a hammering of the rocks gives off sound like a bell’s chime. Also stop by the Sand Castle Winery, where guests are invited to sip their way through hundreds of acres of vineyards with expansive views. Ending our Street View tour the Hudson River in New York, you can experience the scenic beauty of a daytime excursion on a NYC steamboat. Thanks to the Hudson River Foundation, in partnership with the SS Columbia Project, you can now virtually float 130 miles of the Hudson River—a glorious trip through one of the most culturally, historically and environmentally important regions in America. 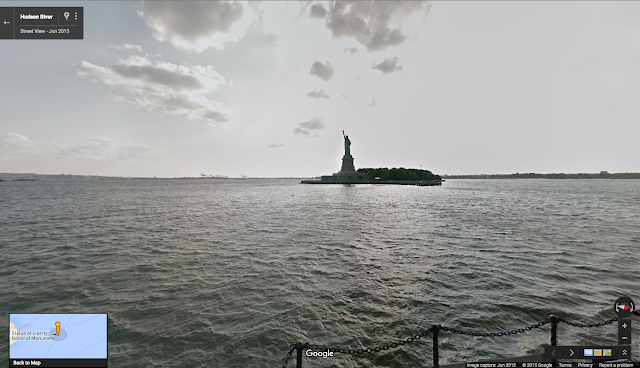 Let Street View be your guide across the great US of A—whether you’re planning a weekend getaway, an afternoon hike or a cross-country road-trip. To see more Street View sites, explore our U.S. Highlights Gallery.